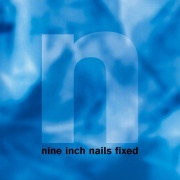 Fixed (also known as Halo 6) is an EP by Nine Inch Nails released in 1992. Fixed is the companion remix disc to Broken. Guest remixers include Butch Vig, J. G. Thirlwell, Peter Christopherson of Coil, and members of the live band at the time, which included Chris Vrenna and James Woolley. The same year, Interscope/TVT/Island also released a combo pack of Sin with Fixed called Deadly Sin in the UK.